CAPE TOWN, RSA (BulgarianMilitary.com) – South African defence group Denel will restructure and exit some operations in an effort to return to profitability after several years of losses, learned BulgarianMilitary.com, quoting Jane`s. The company’s new board has drawn up a turn-around plan, appointed consultancy company PWC to assist with its implementation, and appointed a new CEO, Danie du Toit, with extensive experience in the defence sector in South Africa and Europe. 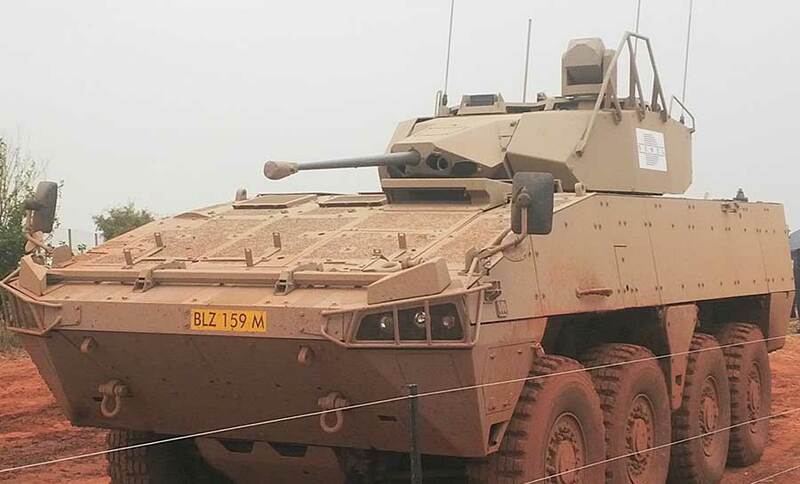 Denel intends to ask the government for a ZAR2.8 billion (USD197.2 million) recapitalisation and to negotiate with the Department of Defence (DoD) to achieve a sustainable baseload of orders. The recapitalisation may succeed, but the negotiations with the DoD will be difficult given the cuts to the South African Defence Force (SADF) acquisition budget. The existing and future cuts effectively mean a cessation of acquisition, with no room to support Denel and placing the defence industry at risk. Denel has also implemented a voluntary severance package programme to reduce its staff costs, but that seems to risk losing much of what is left of the company’s expertise and institutional memory after the departure of other main personnel in the past few years. As announced on 30 March, Denel Aeronautics will exit the A400M component supply contract with Airbus, and may close Aerostructures entirely. Aeronautics’ maintenance, repair, and overhaul (MRO) work may be merged with national airline MRO company SAA Technical. These steps in combination would seem to cast doubt on the viability of Aeronautics, which will concern the South African Air Force as it supports the Lockheed Martin C-130 Hercules transport aircraft, Denel Rooivalk attack helicopter, and Denel (Atlas) Oryx multirole helicopter. However, Denel is understood to be considering a joint venture to develop a Rooivalk Mk 2, which would depend on Aeronautics’ remaining functional. Follow us everywhere and at any time. BulgarianMilitary.com has responsive design and you can open the page from any computer, mobile devices or web browsers. For more up-to-date news from us, follow our Reddit, LinkedIn, Twitter and Facebook pages. Do not miss the chance to subscribe to our newsletter. BulgarianMilitary.com is not a Bulgarian Government Publication. BulgarianMilitary.com is an online media for news, analyses, and comments on the Bulgarian and international defence industry, and the Bulgarian and international military situation. BulgarianMilitary.com is the largest English-language media related to this field and sector in Bulgaria. BulgarianMilitary.com is part of the Project “Communication channels for the Bulgarian defence industry”, which is owned and managed by Nikolov Media Ltd. The structure of the Project involves online publications, video news, and television, a printed and digital magazine Bm Outlook, digital weekly bulletin and printed bulletin on the International Defence, Antiterrorism, and Security Exhibition “HEMUS” in the town of Plovdiv, Bulgaria.